Wonderful place, very well located. Yuki and Sho where really welcoming hosts. With that the People staying there were really friendly. Too bad I didn't took the time to talk With them much. Definitely recommend this place. The owners are very helpful. The location of the hostel is near a train station, which helps a lot. It was clean. We definitly recommand this place. Friendly staff despite a misunderstanding on reservation cancellation. Lockers are big enough to fit personal stuff but not entire luggages. 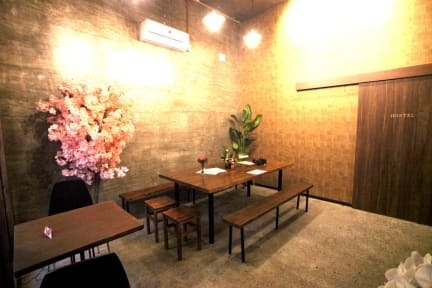 Location is within walking distance of namba district and dotonburi street so it's quite convienient.